Testing the relationship between globalization and carbon dioxide emissions in Pakistan: does environmental Kuznets curve exist? Over the last few decades, the atmospheric carbon dioxide emission has been amplified to a great extent in Pakistan. This amplification may cause global warming, climate change, and environmental degradation in Pakistan. Consequently, ecological condition and human life may suffer in the near future from these indicated threats. Therefore, an attempt was made to test the relationship between globalization and carbon dioxide emissions in case of Pakistan. The study covers the time series data over the period of 1975–2014. We employed modern econometric techniques such as Johansen co-integration, ARDL bound testing approach, and variance decomposition analysis. Results of the Johansen co-integration test show that there is a significant long-run relationship between carbon dioxide emissions and globalization. The long-run elasticities of the ARDL model show that a 1% increase in economic globalization, political globalization, and social globalization will increase carbon dioxide emissions by 0.38, 0.19, and 0.11%, respectively. Further, our findings reveal that the environmental Kuznets curve (EKC) hypothesis prevails an inverted U-shaped relationship between carbon dioxide emission and economic growth. Therefore, the EKC hypothesis is valid in the presence of globalization. The diagnostic test results show that the parameters of the ARDL model are credible, stable, and reliable in the current form. 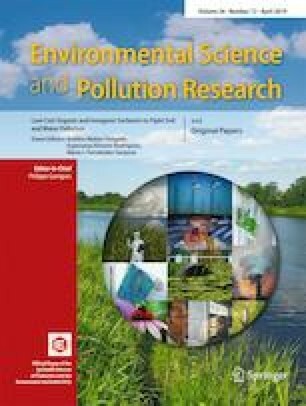 Finally, variance decomposition analysis displays that economic, political, and social globalization are contributing significantly to carbon dioxide emissions in Pakistan.